GREENE COUNTY, MS (WLOX) – The Mississippi Department of Corrections is trying to enhance communication with people in Greene County, where the South Mississippi Correction Institute is located. On Thursday, all landlines and cellphones in the county should receive a call. Emails and text messages will be sent to cellphones, as well. The message will begin as, “This is a test ….,” similar to what is used for weather and Amber alerts. SMCI Superintendent Joe Errington said the mass notification system has been planned since August 2018 in combination with an advisory committee, including local officials, which started meeting in September. “Anyone who uses a communication device, whether it is a cellphone, regular phone, or e-mail, you should receive the test broadcast, if you are in Greene County (this) morning,” Errington said. Errington said the system is capable of more than just broadcasting an alert. It also has a two-way communication feature. The mass notification system draws from several databases, including the county’s 911 system, to reach all phones in Greene County. Anyone traveling through Greene County at the time of the test should receive an alert on his or her phone, as well. After the test, Errington said there will be a tabletop exercise to discuss and evaluate responses to different scenarios. Commissioner Hall first announced this mass communication system in September 2018, just two months after convicted killer Pretty Boy Floyd escaped from SMCI. That escape led to a manhunt throughout the state. 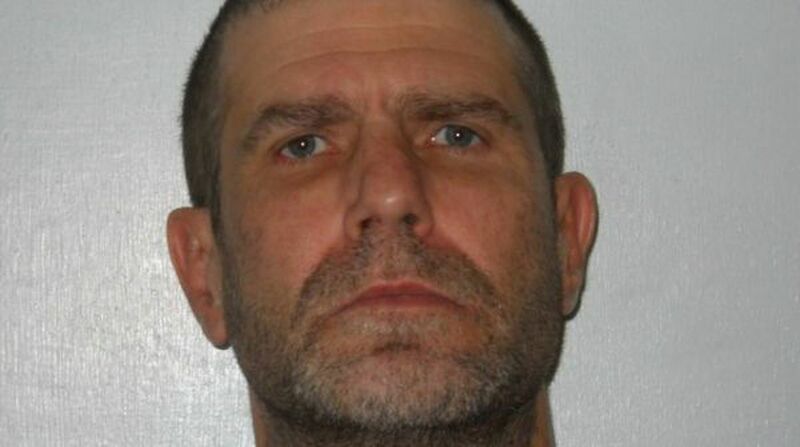 Floyd was caught in the St. Martin community of Jackson County 72 hours after his escape.